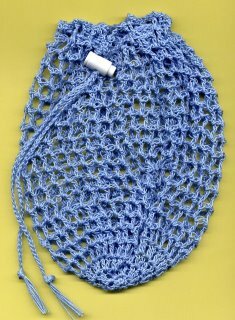 Not critical but mine is,4 double crochet & 4 chain 2 spaces= 2 inchesMy bag is about 10 inches across at it's widest and8 inches long. 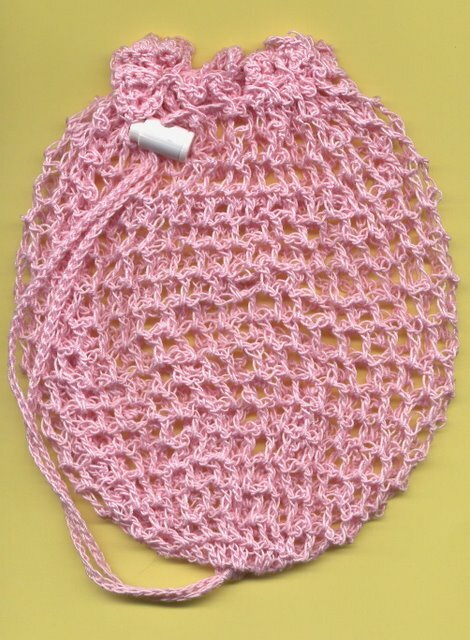 This bag will be worked in the round without joininguntil the last round.You may use a stitch marker at the beginning of therounds if you want, but I just marked the beginning side of the bag. Round 1; 6 single crochet in the second chain. 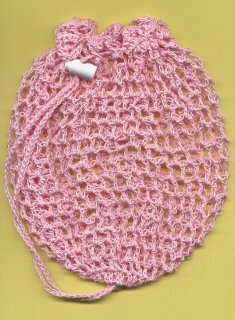 a total of 40 double crochet. Next Round; chain 2, 1 double crochet in next stitch around. ending on the beginning side of the bag. Next Round; 2 single crochet in each chain 2 space around. 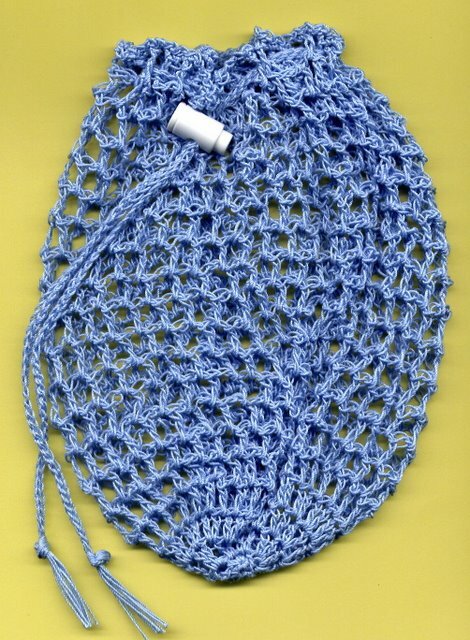 Join with slip stitch in first single crochet. Last round; chain 1, slip stitch in next single crochet around. Join with slip stitch in first slip stitch of this round. Cut thread and hide ends. make a chain about 24 inches long, slip stitch in each chain. Cut yarn leaving the end long enough to be used in the tassel. it then make tassel type fringe on both ends of the string. long, then continue with another 12 inches. Finish your tie the same as above.